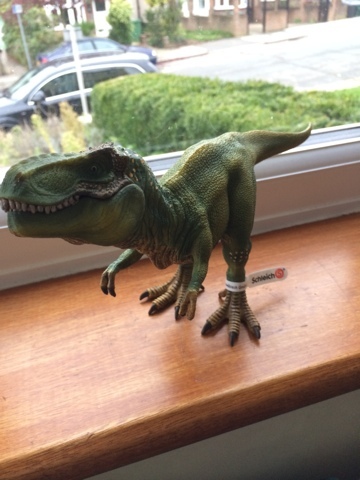 We're fans of Schleich in our house, we love the different collections and both my children have an interest in animals and nature so often we will choose a small Schleich animal to spend pocket money on, so when I was asked if I would be interested in reviewing two large dinosaurs from the new Schleich Prehistoric Animals toy collection, I was really excited! 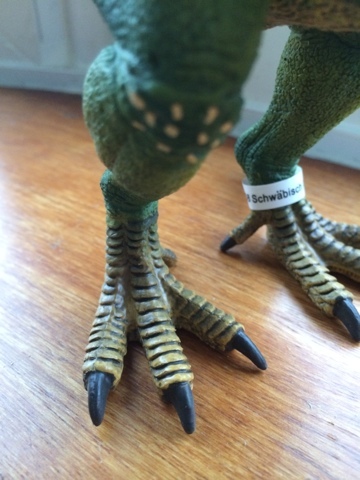 As to be expected from Schleich. 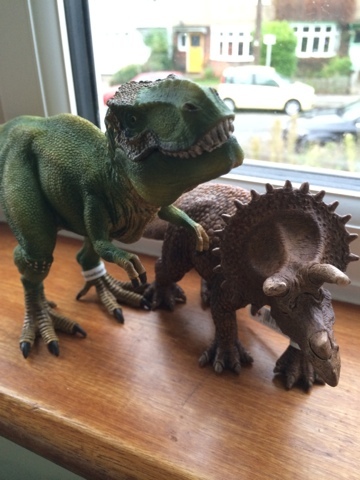 they are really well made, have amazing details and sit well together - the sizes are in proportion to each other and I know the rest of the range will have been equally well thought out - I can imagine a shelf full of these dinosaurs in our playroom as both Blake and Maegan love dinosaurs! I could just imagine this herbivore grazing his way slowly along, the details are so realistic this triceratops really engages imaginative play. I love the detail of his eye and the red of his tongue. 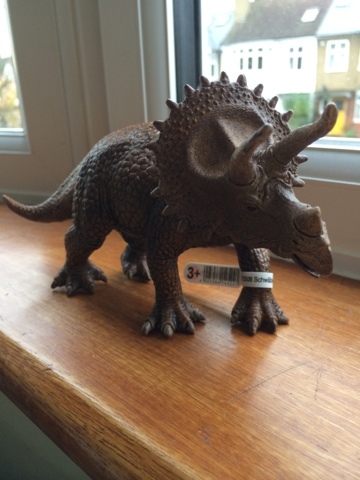 Blake (boy age 6) asked if a triceratops was related to the Rhino - I remember asking this myself when I was younger as there are remarkable similarities! However I did remember the answer to this! A rhino is a mammal as it is born from its mother whilst a triceratops was a reptile and hatched from eggs. They are both examples of convergent evolution. The detailing to the Triceratops reptile skin is brilliant - and so well formed that we actually did crayon rubbing on paper to see the skin patterns. 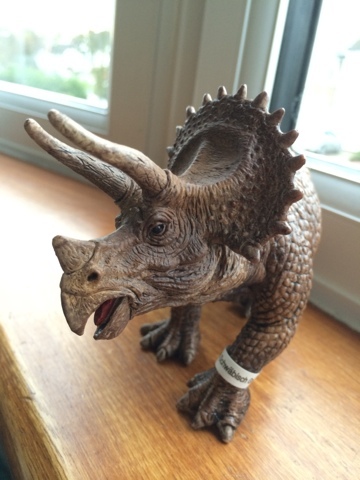 These hooves on the feet show the strong sturdy stance a triceratops would have held. The tyrannosaurs rex is perfectly balanced and ready to roar at you! we compared how similar he is to birds with his clawed feet and silhouette shape. I always liked the ancient greek translation of tyrannosaurs Rex meaning Tyrant Lizard King! The name suits him well! Look Out! 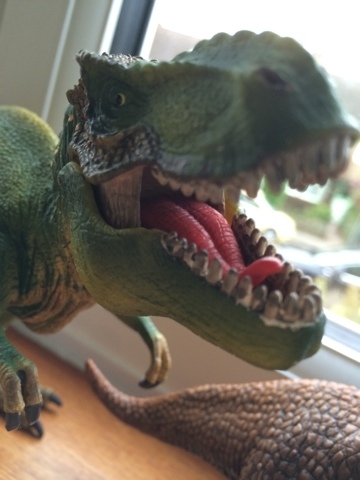 The Schleich Tyrannosaurs-Rex has a drop down jaw! 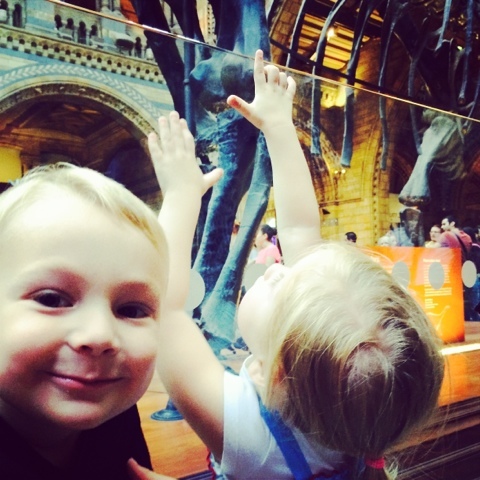 With teeth like this, the T-rex was certainly a carnivore! lots of sharp teeth and a long lizard like tongue! 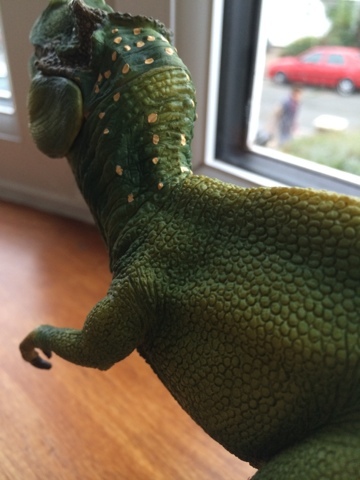 We love the detail to his skin and the colour markings - its always fun to speculate what colours the dinosaurs might have been! 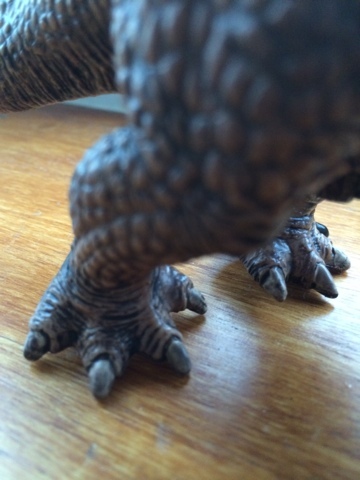 Bird-like large clawed feet with talons that look sharp enough to cut through anything! 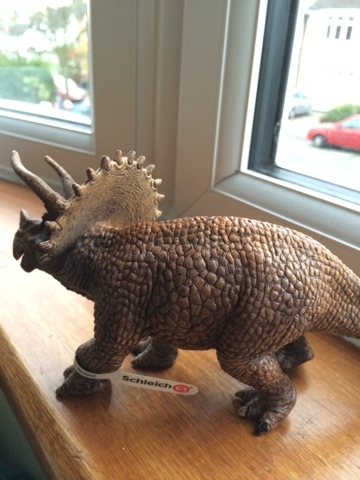 Schleich prehistoric animals would make great gifts or stocking fillers for upcoming christmas wouldn't they?